Making voice calls and sending text messages from Grid 3 is easy, all you need is an Android phone with Bluetooth. 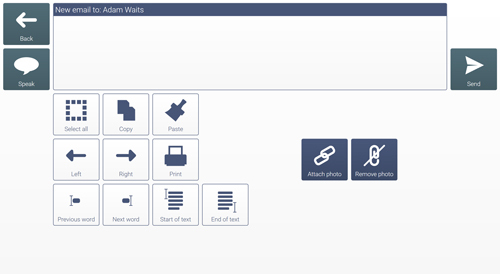 If you’re a symbol user you can now also access SMS for the very first time with symbolised text messages. Control the front and rear cameras on your device with ease using our new Camera grid set. Then quickly share your pictures via email or start a slideshow. 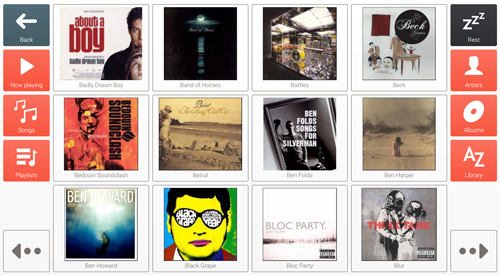 Browsing your media library is a completely new experience in Grid 3, with automatically generated album covers and video thumbnails. Whether you want to sort your photographs, watch music videos or catch up with your favourite shows, it’s easy to browse, select and control your media. 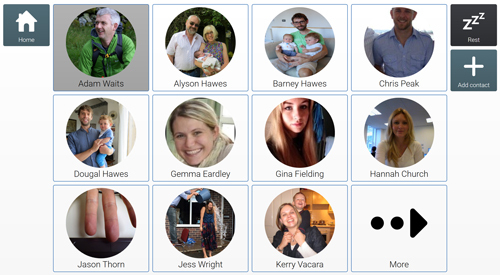 Attach photographs, catch up on conversations and email groups with only a few selections. Keeping track of your inbox is stress-free with the modern design and range of new features. 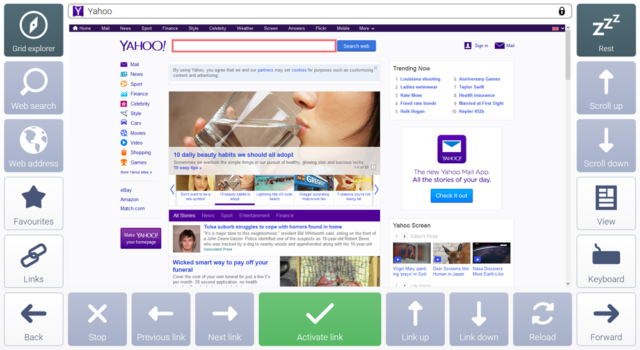 Visit your favourite websites and navigate them with ease from our completely new web browser. Featuring URL prediction, improved navigation and favourites tool. 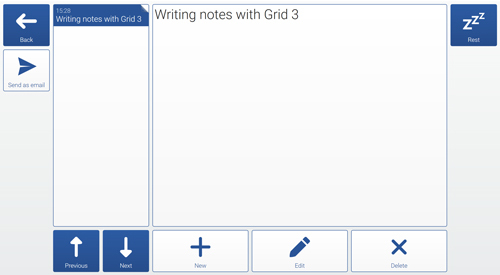 Our handy Notes app enables you to create, access and send notes within seconds. Using SwiftKey prediction you can work and study more efficiently than ever before. From shopping and task lists to references for your latest assignment, the grid set will date and order your notes for you. 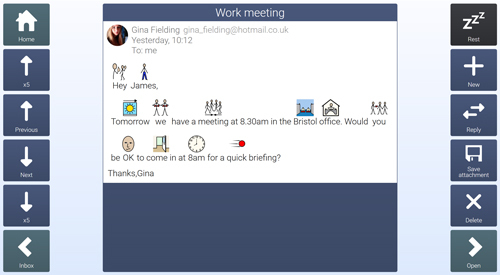 If you communicate using symbols you can now choose to send and receive symbolised messages in email and social media apps for the first time, opening up a whole world of communication that hasn’t been accessible before. 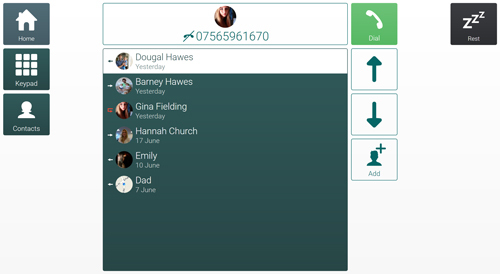 You can manage your contacts in one place and keep in touch across email, SMS and voice call grid sets. Everything in Grid 3 is designed to be accessed with eye gaze, touch, switch or other mouse pointers, so everyone can stay connected. The library of Accessible apps will continue to grow as we develop new ways to access existing social media platforms and useful tools for work and home. 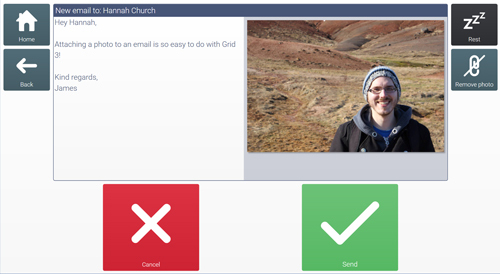 With Grid 3 you can pick and choose from a range of accessible apps that help you to do everything from taking a quick snap on the camera, phoning a friend using an Android phone or checking your Facebook. 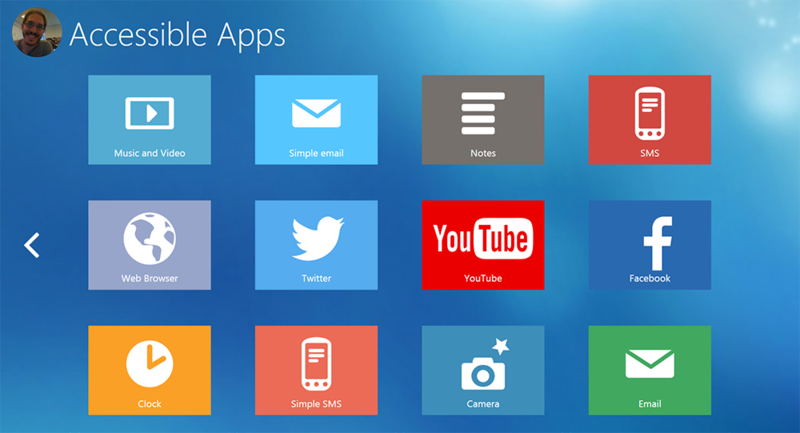 Social media is more accessible than ever before with our all-new range of grid sets for Facebook, Twitter and YouTube. Our accessible apps are designed for use with all types of alternative access. 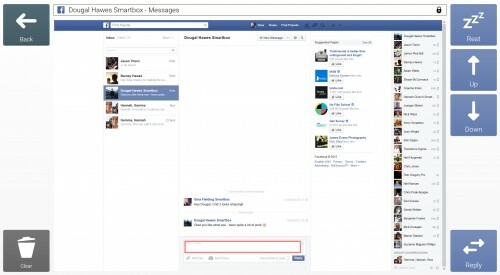 Our all-new Facebook integration give you complete control of the world’s most popular social network. Effortlessly scroll up and down your newsfeed, post to your wall or talk to your friends with Facebook Messenger, all from within our dedicated app. 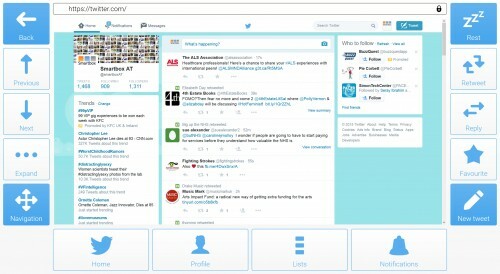 Our Twitter app provides a simple interface for speaking to the world in only 140 characters. Publish, favourite, retweet and reply to tweets with only a few selections. 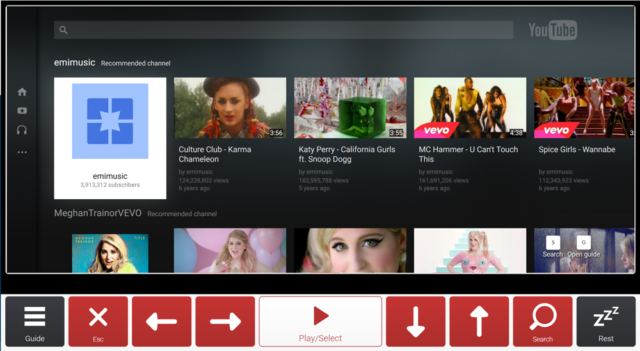 Get instant access to billions of videos with our new YouTube app. It is so simple to search for and watch a video. 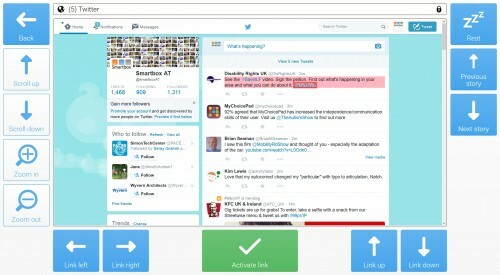 You can zoom in and out in every social media app and highlight or select links with ease, so no feature is out of your reach.